It never fails to make me giddy whenever I receive messages from my previous students from my personal makeup workshops. Sometimes I’d get random messages saying how they remembered this specific makeup technique and how they used it to do makeup on themselves, and some simply send in thank you messages because they finally feel more confident in putting on makeup. These messages further validate my decision to combine my love for makeup and teaching. It was a huge risk to do it in the beginning, but simply knowing how much it’s been useful to my students made it all worth it and makes me even more excited for my upcoming workshops this October and November! Let me share some of the messages I received from my students, completely unedited and unfiltered! 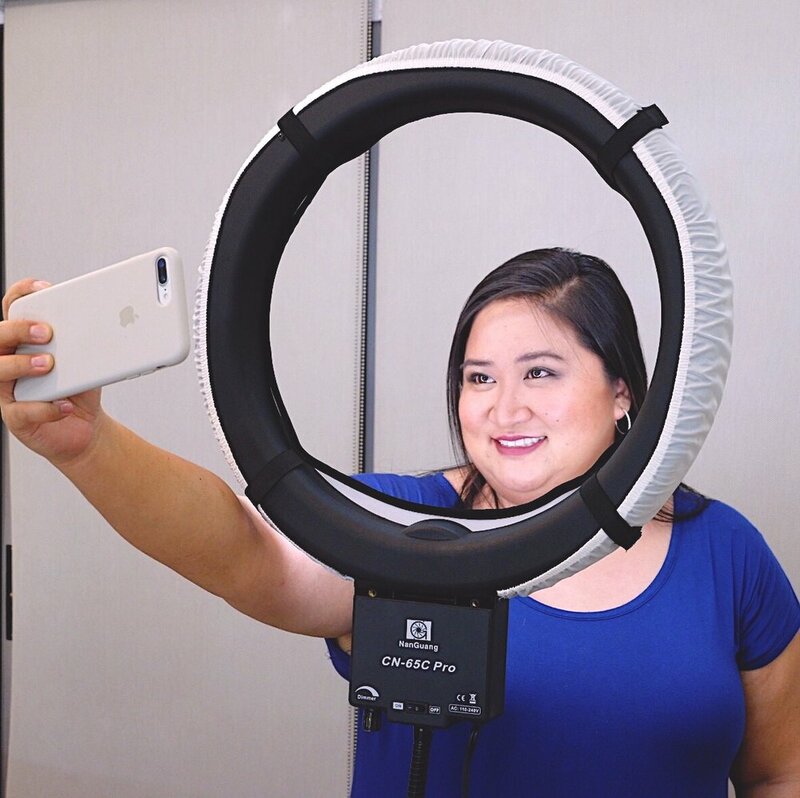 You would think that with all the makeup tutorials on YT and Pinterest we girls would have a better handle on makeup…BUT NO, and that’s because we all have different face shapes, skin types, even eyebrow shapes, and eye color! So, joining Ms. Kris’ workshop was a no-brainer! She had done beautiful makeup on me a couple of times already; it was just a matter of finding a schedule (slots run out fast!). It was time and money well-spent, not to mention tinkering with makeup is a great way to destress! The intimate session allowed Ms. Kris to be hands-on. I used to just wing it after foundation and concealer, so one highlight for me was learning to put color. Ms. Kris pointed out what shades and products go with my skin color and type, how to apply blush, eyeshadow, lipstick, and all that. We were also able to go through my existing stash for her to point out what’s useful or what’s due for replacement (e.g. stuff that seemed too old/dry or not pigmented enough aka useless). I was so happy and confident, armed with my notes, that I decided to add something to my routine that I always used to avoid – eyeliner! It made me look extra in my vacation pictures the next month! Yay, thank you, Ms. Kris! I’m not a makeup enthusiast so I can get intimidated or overwhelmed walking into a beauty counter or makeup store. I’m also not one to try out new makeup trends or products and often feel pressured by sales staff or makeup schools to buy more than what I need or am capable of skilfully using. So when I read about Kris’ makeup workshop meant for a small group setting, I thought it would be a good, private, relaxing way to learn with my cousins. At the start of class, Kris asked us what our concerns and expectations were so she could address them. The set-up was very comfortable because she asked us to bring our own makeup and we could also try out the products she had. Not only did she take us through the makeup process but also through a proper facial regimen, where I picked up some new tips as well. I appreciated that Kris went over our personal products that we were already accustomed to and didn’t push other products on us. She recommended a good product match for our individual needs when we asked. 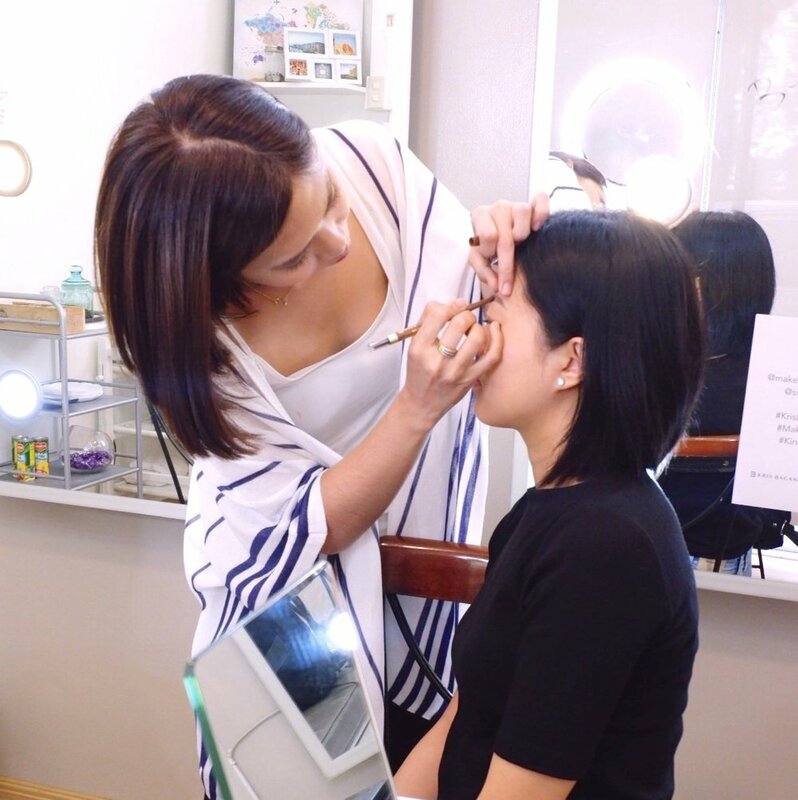 What has changed after our makeup workshop with Kris? - I apply most of what I learned on a daily basis, most crucial of which are my brows, which Kris taught me how to shape. Life changer! This is an actual makeup workshop where I am using what we learned. No binge-buying of products that would be thrown away soon after, no complicated techniques that would leave me frustrated to do on my own. It was also a good bonding experience with my cousins. Thank you, Kris! I joined Kris' personal makeup workshop last year with my sister and niece. It was one of those Sundays that I didn’t regret not spending my morning playing with my daughter:). I remember that I have always asked Kris on when this type of workshop will happen because I will definitely sign up. I learned so much from this workshop from the different products that are affordable to the right color for my skin. Kris is really knowledgeable about her craft that she taught her students very well. 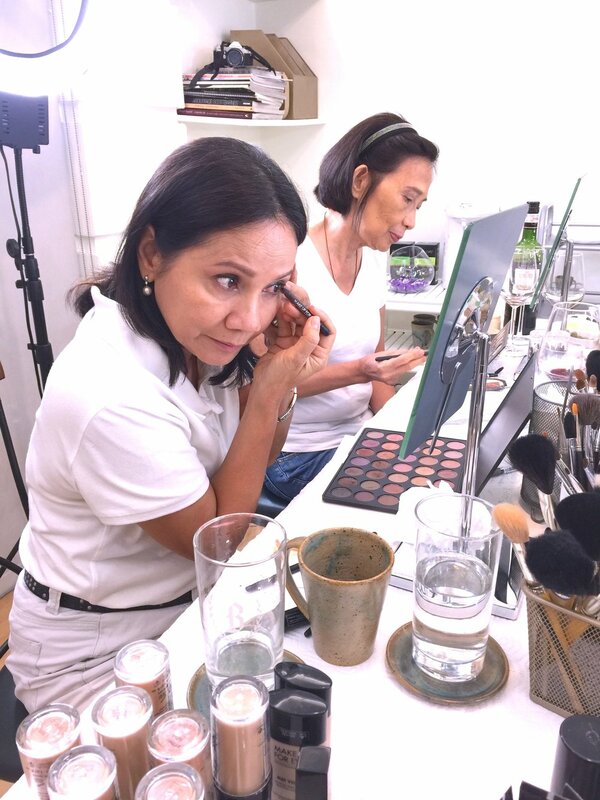 Learning from her made me confident to put my own makeup even for my first television interview done by CNN Philippines. Kris thank you for teaching me to be beautiful whenever I need to be seen with makeup on. Congratulations and will definitely enroll in the advance workshop next time!! I am not the make up person type, but with what I do, to be presentable is a must. So I decided to attend Kris Bacani's make up class. She first emphasized how to take care of our skin, so we would not need much make up. Since then, I've been doing what she taught me, including using the right products for my skin type; from the right toner and moisturizer to the right shade of foundation. 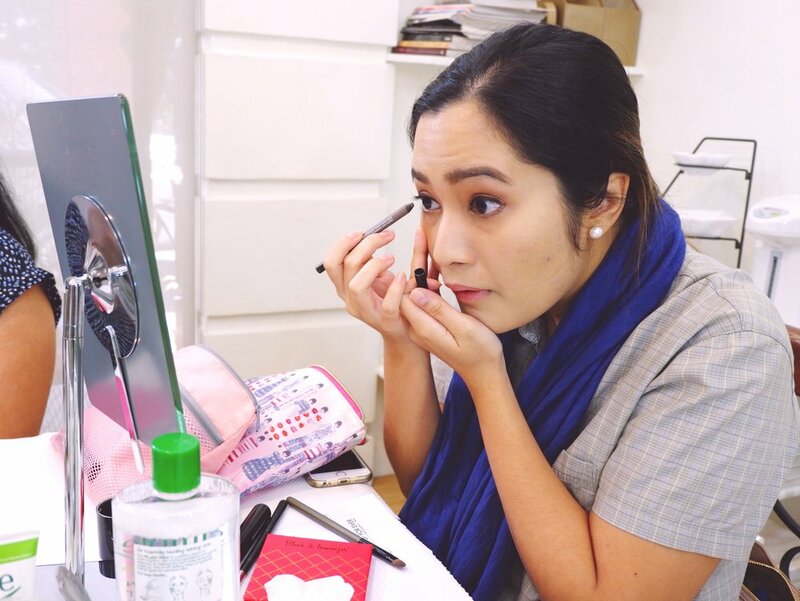 I was able to distinguish how to use and choose the make up brushes and brow products that would be comfortable for me as a make up newbie. Overall, it improved my grooming routine and people are noticing the difference. Thanks so much Kris! More power and beauty to you and to your students! God bless! Hi. My name is Lei Aldana, a 58-year old woman who does not want to look matronly and dated in appearance. This is why I attended Kris Bacani's make-up class. She taught us how to apply make up that made me look "updated", if you know what I mean. Like how important it is to put a primer on your face before one puts on foundation or bb cream. Like what is the current eyebrow look and how to draw them in a natural looking way. 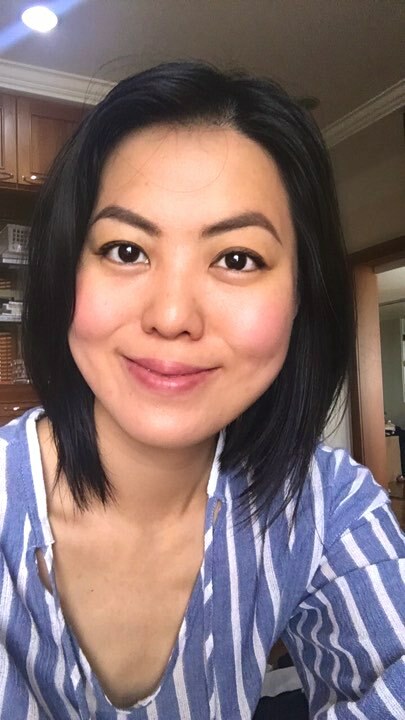 Learning how to handle your eyebrows is face changing! And if only for that one lesson, it was worth attending Kris' class. A lot of people notice my new look because of the updated make up lessons I learned from Kris. You, too, can join my upcoming personal makeup workshops. There are still some slots open but I highly recommend reserving your slot as soon as possible. I also offer special discounts for those who book in groups so bring your barkada, sisters, and even your mom! To reserve your slot, just message me directly (click here). And for more details, you can read through the workshop details here.